The following contains exclusive sourced information, analysis and MSV's considered opinion. The weekend telephone poll attributed by some to one of the four major Hoboken mayoral campaigns currently engaged may be incorrect. According to MSV readers who continue to receive phone calls of the poll, it's clearly emanating from a political operation bankrolled by the Mausoleum House of Horrors on upper Hudson Street. The telephone poll has changed some of its questions and specifically wants to know what comes to mind with the name Beth Mason? Destructive, vindictive, narcissistic, saboteur, congenital liar, SLAPP happy supporting, those are some of the choices among the most accurate options from Hoboken residents who knew her best. What the poll won't say is the idea of any political lifeline for Beth Mason in Hoboken is nothing short of fanciful. Let's outline some of the numerous reasons why. Back in the summer of 2015, local officials were jockeying over who would be the selected candidates in the various upcoming ward races that coming fall. With the end of summer filing deadline, one of the six wards remained in a state of limbo; a particularly galling situation for the Old Guard looking to move forward and recapture a council majority. The reason? Beth Mason had gone to ground after the momentous legal decision in Hudson Superior Court from Judge Patrick Arre designating the SLAPP-suit against Hoboken residents frivolous that July with sanctions against Mason fanatics Lane Bajardi and Kimberly Cardinal Bajardi. The legal decision exploded over the Mile Square with whopping sanctions of over $275,000 on the same July day as a scheduled City Council meeting. MSV would receive legal approval to publish the decision late that afternoon. It clearly sent Beth Mason into a tailspin. She skipped that evening City Council meeting and several more through the summer, never explaining or contacting anyone about her absences before a September Grafix Avenger story noted Mason had in so doing ejected herself out of office under NJ statute. That September, Beth Mason finally resurfaced but was forced to stand outside a closed session of the council and await a full public session when the full City Council could vote to reinstate her as a council member and allow her to finish out her disgraceful term a few months hence. No one among her former allies in the Old Guard has forgotten what she put them through in the summer of 2015. Phone calls were ignored, not returned and when they were, it was her fishy Weehawken operative calling on her behalf to find out what was the purpose of the initial phone call. As one local politico reportedly said, "I called her and now days later you call? Why do I want to talk to you? You don't even live here!" Former first ward councilwoman Terry Castellano frustrated with the lack of communication through the summer on what Mason's plans for running in the second ward were is rumored to have said in exasperation, "She really is a lousy person." This coming from her political friends. Fast forward to the present and Beth Mason has no friends, at least no real friends money doesn't buy in the Hoboken Old Guard political universe. She surrounded herself with a bunch of paid sycophants, some more delusional than her. After attempts to shut down the local hospital and put the City of Hoboken into financial ruin in 2011, she took her rancid act to focusing on trying to block the second flood pump's approval and installation benefitting the west side of Hoboken. This is not a record one leaves in their wake with the door open for political revival. 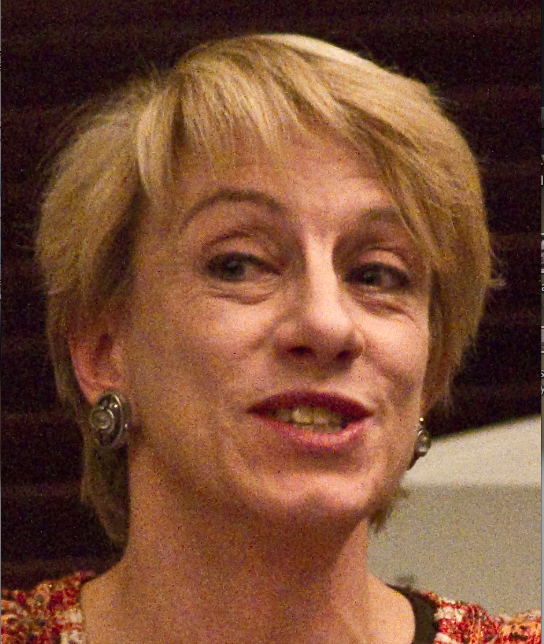 Beth Mason as one Old Guard influencer famously put years before she left the scene, "She's got no base." The electoral votes she generated came almost entirely out of the Applied Housing buildings courtesy of the Barry brothers. Both they and their vote having moved on to the DeFusco campaign and are not available to Beth Mason as is much of the other "friends and family" votes the Old Guard considers a staple to any citywide election. Over the weekend, Sully made good on some sort of Hudson Reporter rebate plan positing Beth Mason as luring Brian Stack's support in the Hoboken mayoral election from other candidates. It says here the powerful State Senator is not likely to be making any other Hoboken endorsement soon after being burned with one he rendered Mayor Zimmer last spring. Senator Stack backing Beth Mason for Hoboken mayor? Nuts! Beth Mason attempts a political comeback? phone poll in recent days, except Beth Mason. Talking Ed Note: There's more reasons why Beth Mason is politically irrelevant and DOA as far as elected office in Hoboken. MSV has somewhere in the vicinity of 48,000 or so reasons in emails obtained in the frivolous lawsuit Bajardi v Pincus. There's more there there. As an aside, what bankruptcy lawyer worked diligently with Beth Mason in an effort to sabotage the pending sale of Hoboken University Medical Center and see it closed and with it, over a thousand people lose their jobs? What, no one knows about that? None of those juicy details even includes Mason's frivolous criminal allegation made against this editor where at trial last year, the case was converted into an assault against the First Amendment and the criminal charges thrown out mid-trial with not a single shred of evidence presented on the lunatic criminal charges. That is, other than the pathology of lies offered up in testimony by Beth Mason. So go ahead, make my day.